Dippers are a most unusual family; there are only five species, but all five are very uniform in shape, habits, habitat, and nesting behavior, yet are spread across five continents and a huge geographic area. Linnaeus in 1758 named the Eurasian dipper, the only species that he could have observed personally, as a starling, but for most of their history dippers have been regarded as an off-shoot of the wren family. Given their rounded body-shape, short wings and tail, and the domed nests with side-entrance, all also typical of wrens, this would seem a very reasonable classification. 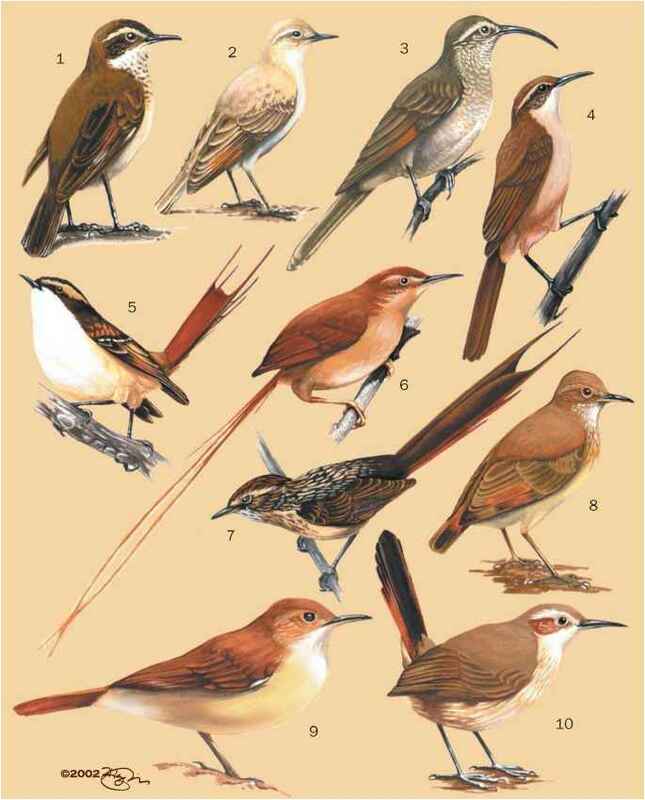 Recent DNA studies, however, indicate that the closest relatives of dippers are, in fact, the thrushes, and resemblance to wrens is coincidental. There are widely different views as to the geographic origins of dippers. Wrens are undoubtedly of New World origin, and when dippers were regarded as wrens a similar geographic origin was unarguable. However, with the overturning of this relationship the facts become very cloudy, with different authorities arguing for origins in eastern Asia, followed by colonization of the New World via the Bering landbridge, and almost the precise opposite: an origin in western North America followed by colonization of Eurasia and South America as land-bridges became available. The fossil record is of little help since it is essentially non-existent; the mountain-stream habitat of dippers is hardly conducive to deposition of remains for fossilization.